Optimize your mix of storage media, including NVMe flash storage, to achieve the best balance of performance and economics. Automate data placement across flash and disk devices. Deliver fast performance when and where you need it by moving the most frequently used data to your highest speed devices with hybrid storage. Lower your total cost of ownership with the best mix of flash and traditional spinning drives to meet your service level agreements at the most reasonable cost. Deliver the performance required to support critical workloads like big data analytics and media streaming, along with a variety of mixed workloads, as in public and private clouds with hybrid flash arrays. A family of affordable, enterprise-grade storage solutions including an end-to-end NVMe model. 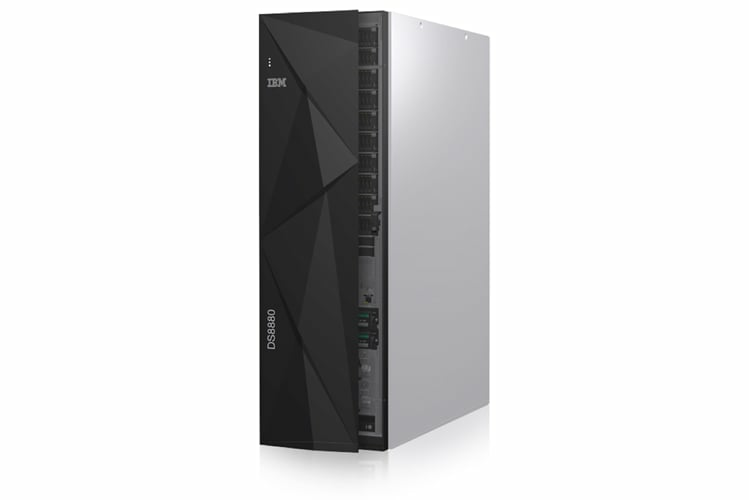 New offerings are designed for entry- level and midrange storage requirements with increased functionality and performance. Cost-optimized, end-to-end NVMe flash acceleration with optional hybrid flash expansions. Enterprise-class features include extensive AI-based storage resource management, predictive analytics and automated data placement. Delivers self-tuning features to optimize data placement, hybrid cloud connection and secure data transactions with IBM z 14 integration. IBM High Performance Flash Enclosure Gen2 technology delivers true enterprise hybrid data systems performance. Groupe Bastide was known for providing superior service around medical devices, resulting in rapid growth. In order to expand while maintainint it’s reputation for excellence, the company implemented SAP Hana on IBM Power Systems and supported by IBM Storage. This cleared the path to non-disruptive expansion, enhanced productivity, and supported exceptional service continuity. IBM Storwize V7000F gave Met Office a 2:1 compression ratio for data enabling them to buy less capacity while delivering both exceptional performance and efficiency. Unique saw performance gains of 30 - 40 % and accelerated the runtime by more than 33%. Not sure how to optimize your mix of storage media to achieve the best balance of performance and economics. Our hybrid storage experts are here to help you figure out what you need.